Foundation Surgical Hospital of San Antonio initially approached me seeking help removing their existing WordPress site off of a multi-user environment. The move to their own hosting platform allowed them to assume complete control over their website functions, making it a whole lot easier to manage and update. I also stepped up to help with updates, providing simple services in a timely, helpful manner. My dedication to timely customer service––and willingness to do extra tasks as needed––led to the client deciding it was time for a whole new website complete with a fresh, bold look. The end result is a responsive-designed website with core functionality like click-to-call phone numbers, downloadable patient forms, and larger text for older site viewers. From a design standpoint, subtle animations were included to provide additional viewer interest and engagement. 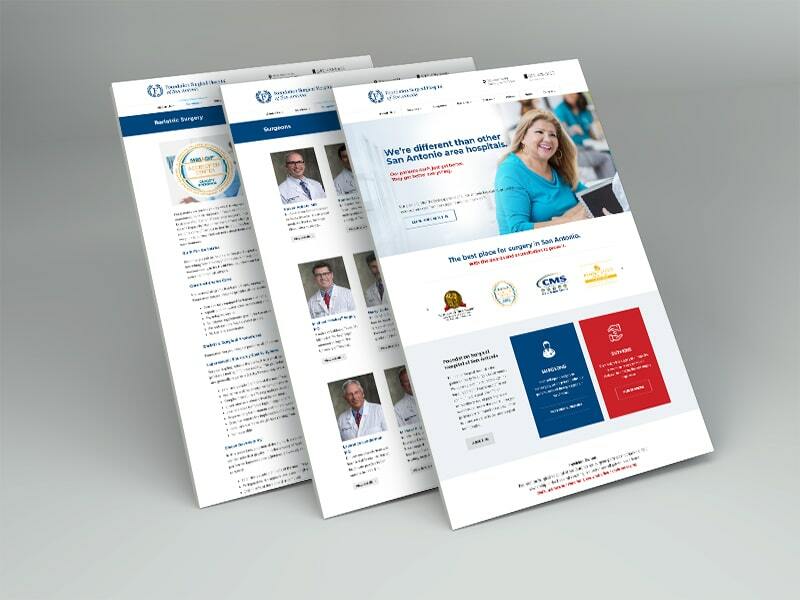 The new website also showcases the hospital’s many awards and patient testimonials while providing analytical tracking for better online marketing strategy management.